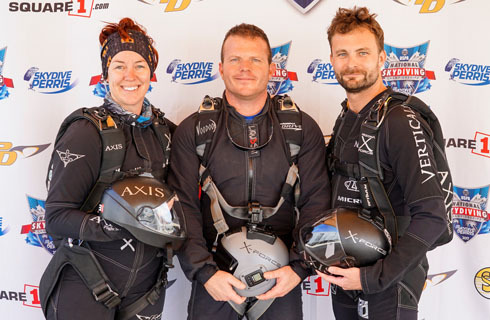 Team AXIS consists of (from left to right) Brianne Thompson, Keith Fournier (video), and Niklas Daniel [photo by David Cherry]. Team AXIS is AXIS Flight Schools 2-way MFS Open team. 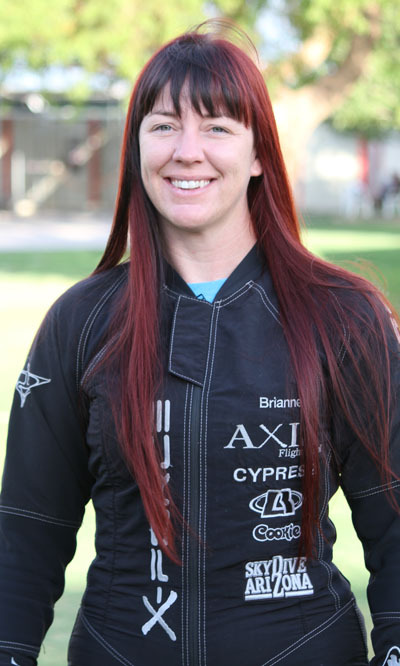 It is comprised of the co-owners of AXIS Flight School, Brianne Thompson and Niklas Daniel. In 2017 the position of videographer is filled by Keith Fournier. 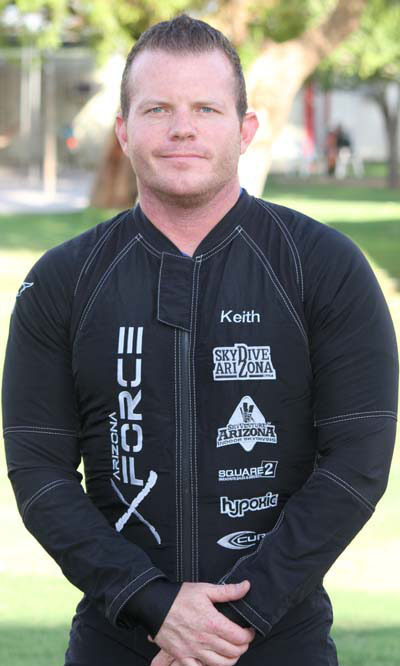 The team competed in the 2017 USPA National Skydiving Championships and took forth place. (FAI World Skydiving Championships 2008). (IBA US National Championships 2017). 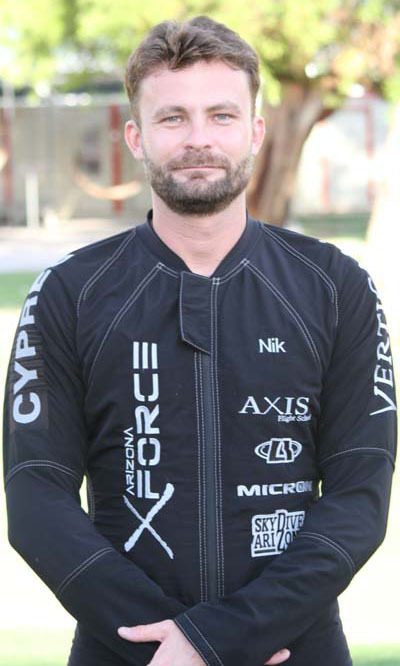 (USPA National Skydiving Championships 2018).